START Collection is now representing Roey Heifetz, a fascinating Israeli artist whose uncanny drawings are somewhat an extension of her flamboyant persona. 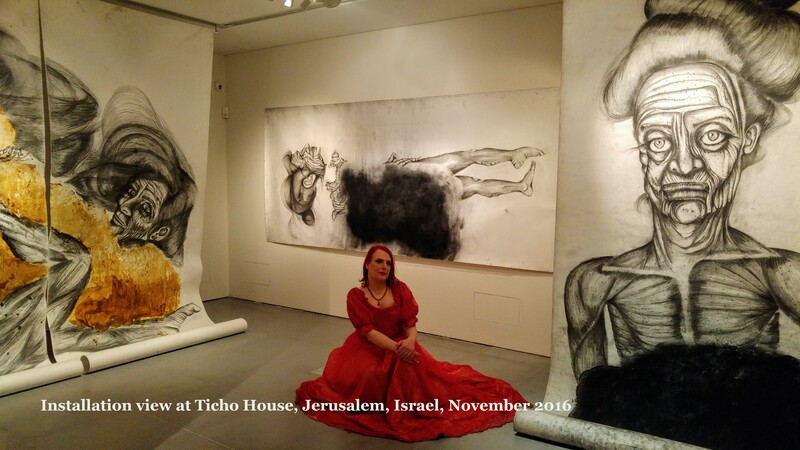 Hefeitz' current solo exhibition, which opened on November 27th at Ticho House, Jerusalem, marks a turning point in Heifetz' career –a transition, a becoming, both professionally and personally. 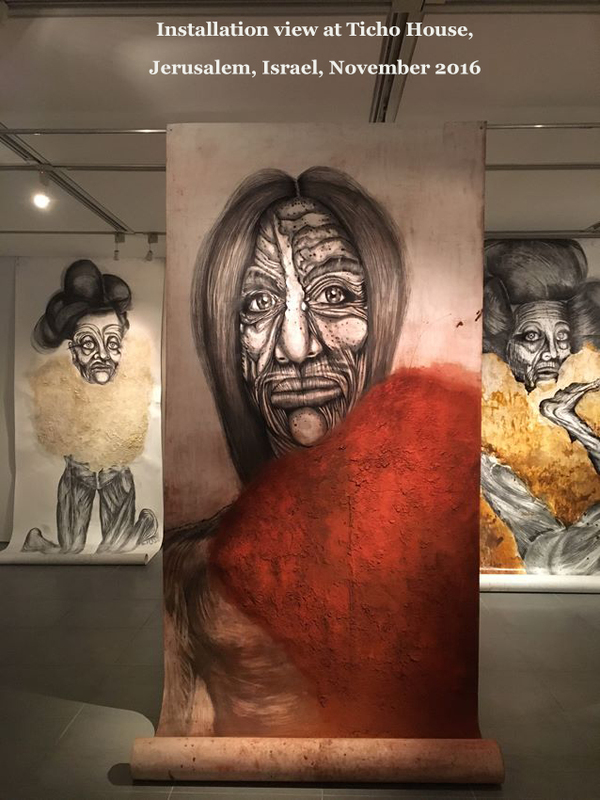 On the walls of the exhibition space, larger-than-life female figures illustrated in charcoal on paper, stare down eerily at the spectators. Their unsettling eyes express a sense of imprisonment, as if these were women trapped within themselves. Heifetz creates heavy bodies, depicting them as muscular and fleshy, parts hidden beneath various materials such as lacquer or powder, obscuring the figures' wholeness. Each woman is different, with unique facial features and an individual frame. Yet, all the figures share the same piercing gaze, an unapologetic stare that suggests they are actually self-portraits of the artist. The exhibition included three captivating artworks from our collection. "On Her Knees" (2014), illustrates the head of respectable elderly woman, her wispy hair in a dignified up-do, disappearing into a cloud of marble powder. Two flayed legs appear bent under the flaky cloud, settling the figure on her knees. The kneeling figure is vulgar and grotesque, but we pity her, the pain in her eyes moves us. The other two works from the START Collection are "Trio" (2011), a multi-headed female figure, and "The Teacher's Nap" (2011), a dainty old lady lying on her back in despair. "Victoria" will be on view at Ticho House through March 15th, 2017. To view the works on display, click here.